“Thank you cards are so passe,” she said to me. Growing up, we had to write thank yous out before we received our presents from our grandparents. Mom didn’t budge on that. 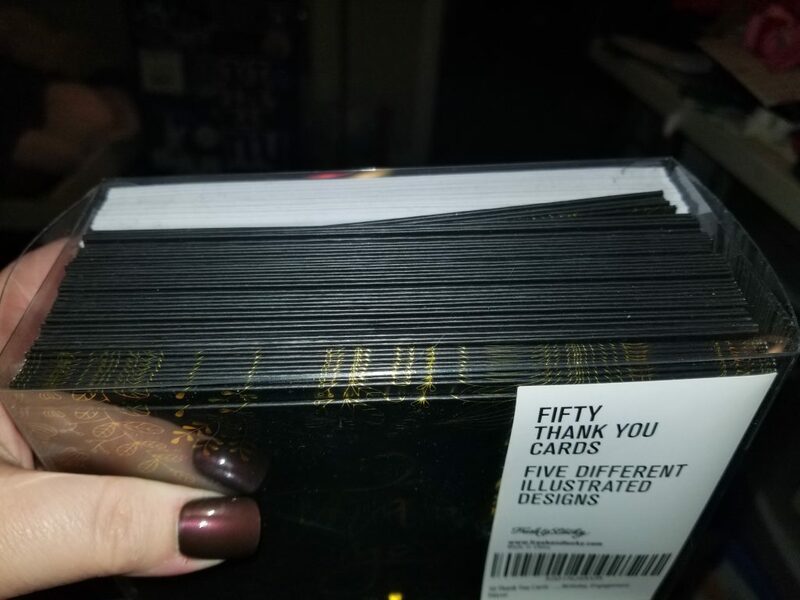 There was no cash or whatever the gift was until that note was mailed. I try to continue that with my daughter, but I fail soooo much at it. I always forget. 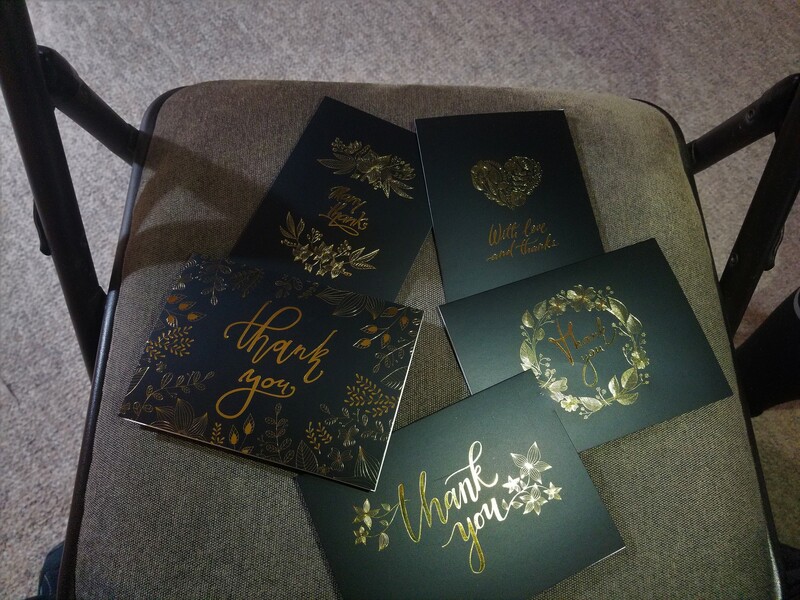 This year, as PTA President, I was determined to send out thank yous. Yup, I failed at that, too. I do plan on sending them out at the end of the year though. People like to be acknowledged for their hard work. Volunteers don’t have to be there. Extra hands lighten the work. 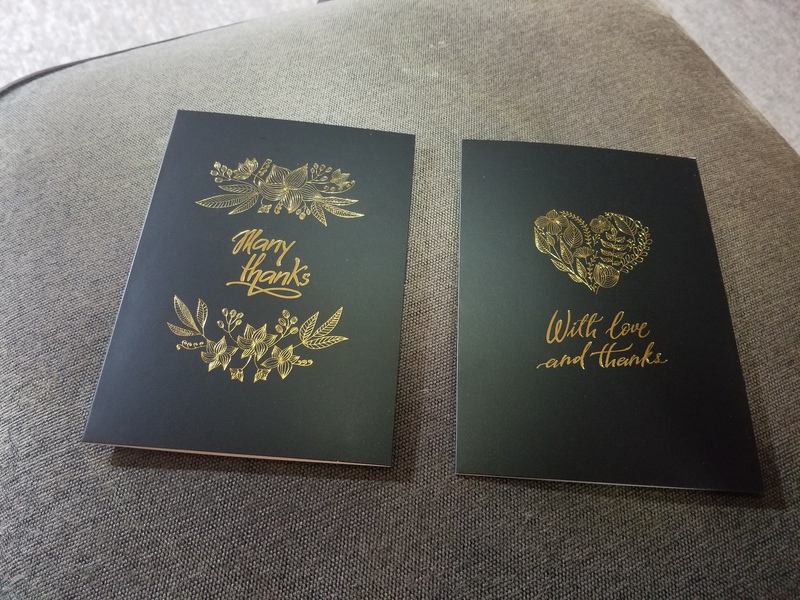 These are the two main reasons I was happy to find these gorgeous thank you cards on Tomoson at a deep discount for a review. 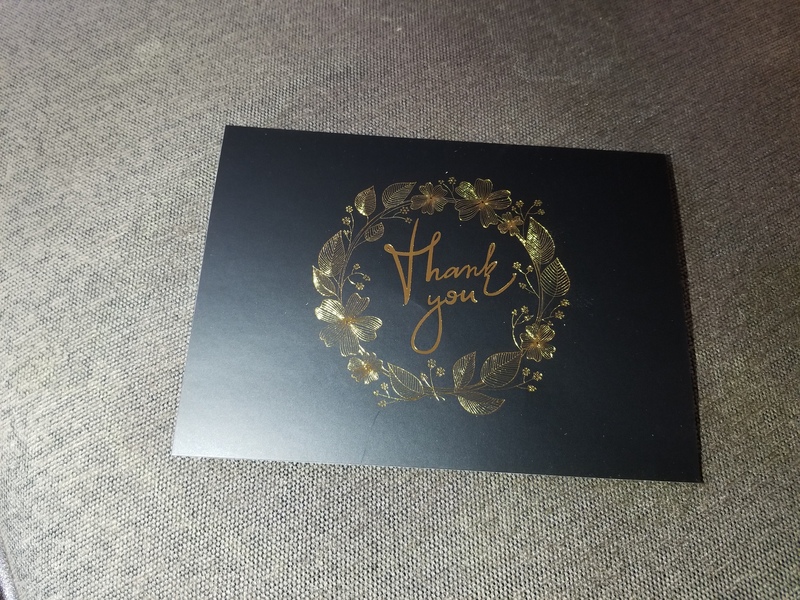 I was concerned about the black background, but the gold really pops out. The designs are so pretty! I saw the first design… and fell in love. 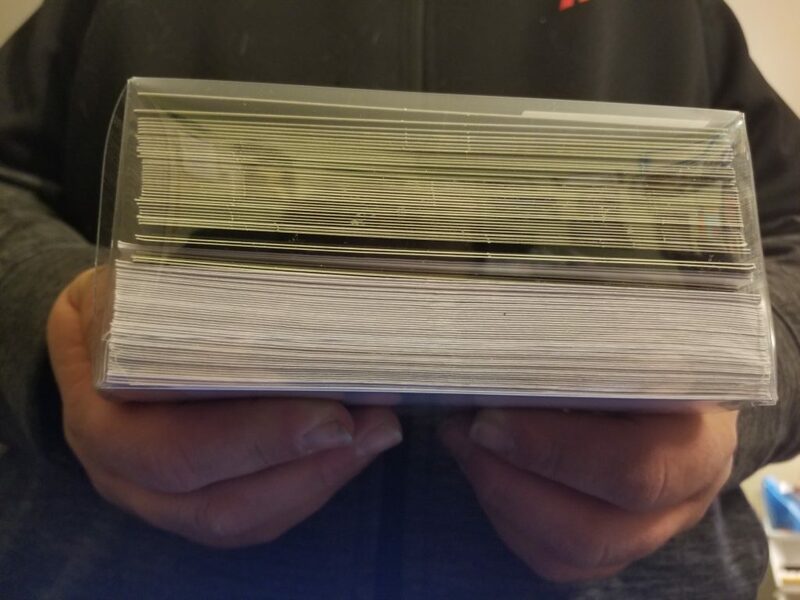 The more I looked at them all, the more I loved them. Each card was prettier than the last. 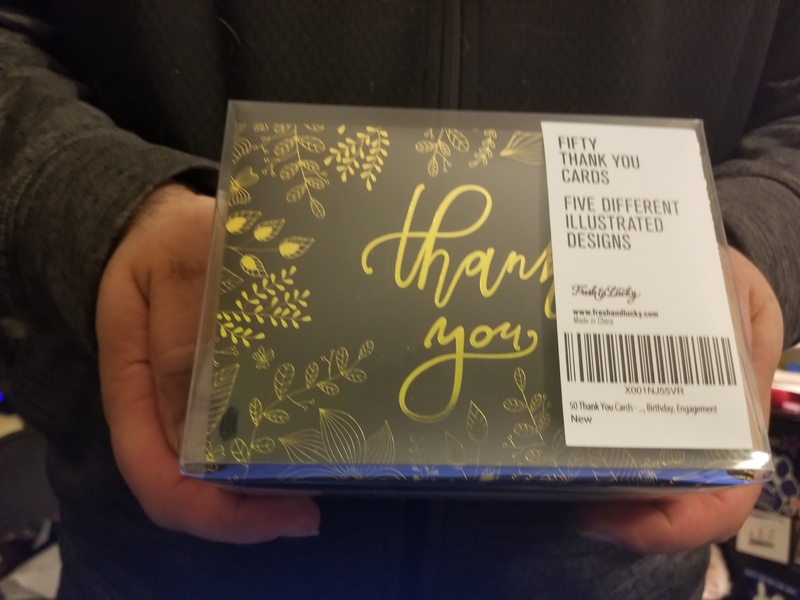 There are five different designs in this 50-pack. 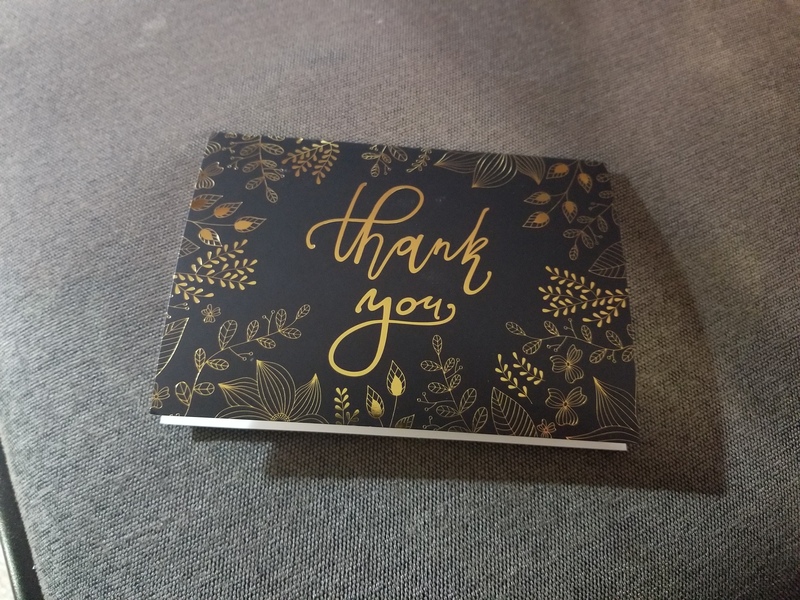 I started writing out a thanks and the inside of the card is smooth and makes writing very easy. The best part of having a black background is that you can use your fancy scrapbook markers (or Sharpies!) to write a message and don’t have to worry about bleeding through. YAY! The link to purchase is HERE. I can’t recommend this set enough. It’s beautiful! 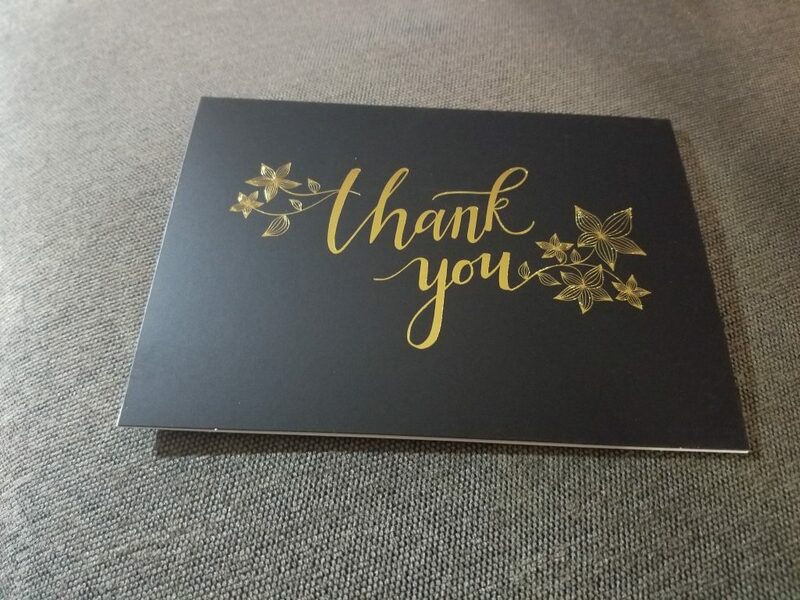 I had to write thank you cards/letters to everyone who sent me a present as a child – even when I had birthday parties, the next school day, everyone got a handwritten card to say thank you for the present and thank you for coming to my party. 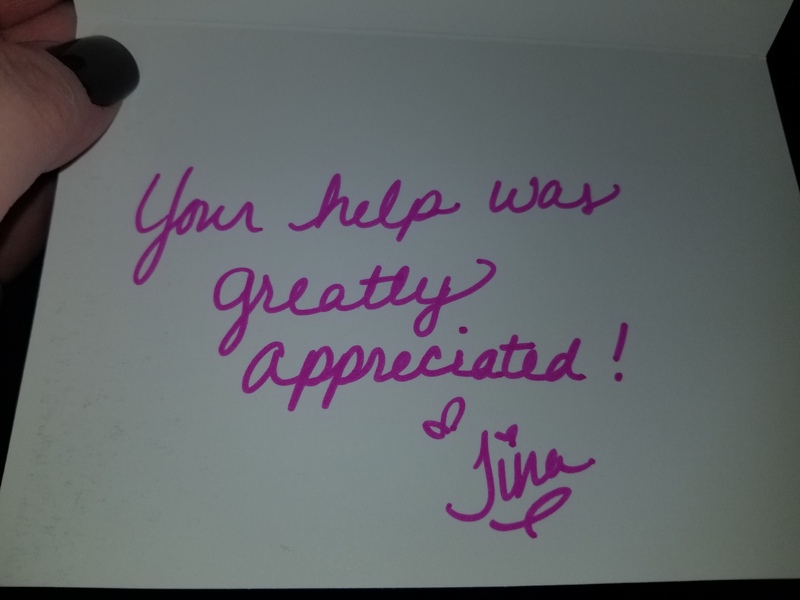 As an adult, I still send them – I know how nice it is to receive something in the mail that isn’t a bill or junk and if it can brighten up someone’s day, it’s worth taking a few minutes out of mine to sit down and write it.